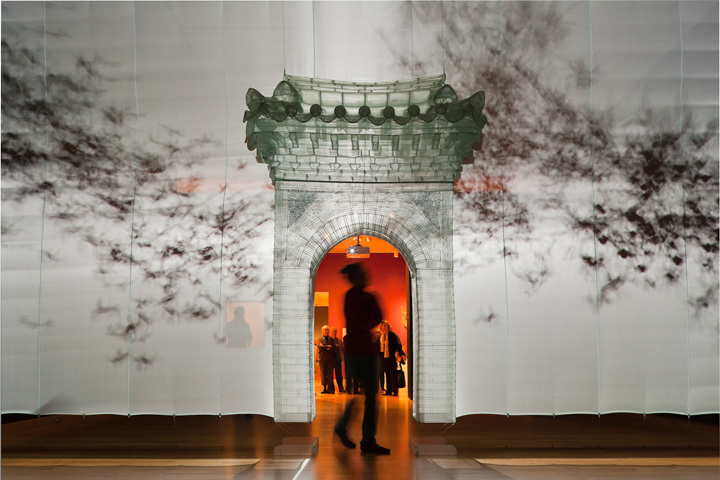 The Seattle Art Museum has opened Luminous: The Art of Asia, an exhibition that showcases the institution's diverse Asian collections with a presentation of nearly 200 works from Chinese bronzes and Japanese lacquers to Korean ceramics and South Asian sculpture and painting. One of my favorite Korean artist Do Ho Suh installed a multimedia gate, especially commissioned for this exhibition and provides a contemporary response to the historical material. "Like the moment of enlightenment in Zen Buddhism, passing through a gate takes only a split second, and then it's over," Suh explains. "But so many things happen in such a short period of time. With this work, I wanted to extend that moment of passage, to delay it, if only for an instant, to provide the viewer that moment of insight."